Opti invented this concoction. 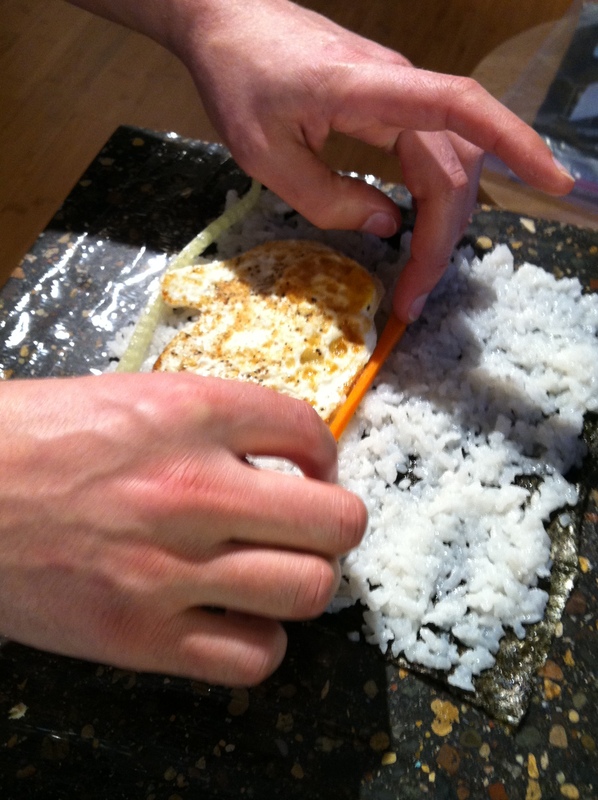 Fried egg, carrot, and sushi rice, wrapped up in seaweed. He ate the entire thing. Amazing. 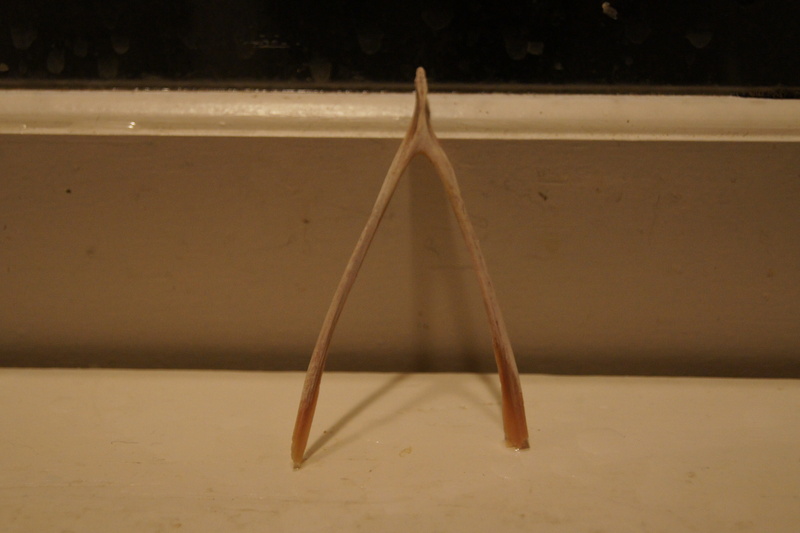 Turkey means turkey soup, turkey soup means a wish bone.